Linnworks have recently announced the Linn Academy 2016 Agenda. So if your not coming, see what you are missing out on! 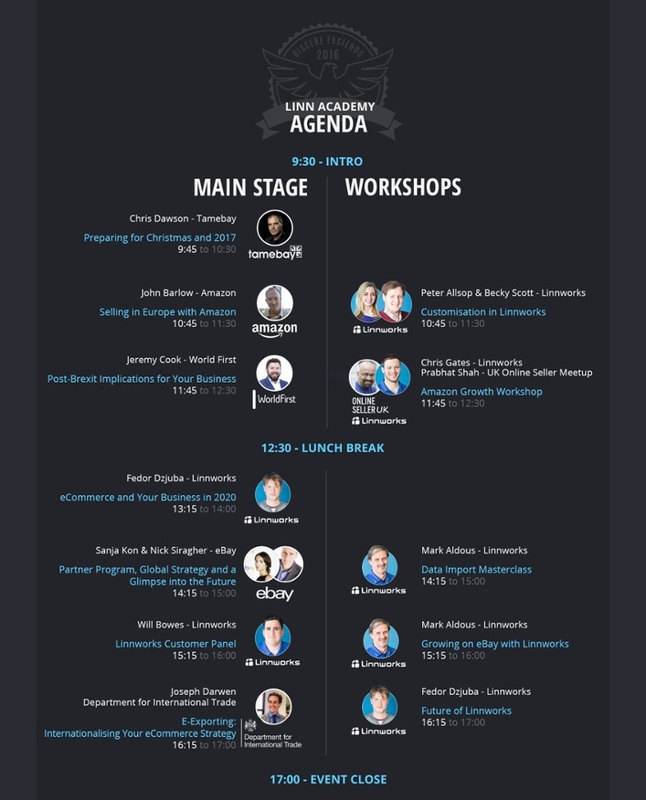 If you are thinking about going and still need to buy your tickets, then you can purchase them here https://linnacademy.com/. If you can’t make then there is some good news. Linnworks will be recording all workshops and talks (though seeing them live is so much better). If you are coming then we would love to meet you!